Use trivia knowledge to make tons of money. On Sunday, Warner Bros. announced a partnership with quiz app HQ Trivia that’ll let fans test their knowledge for a chance to win $250,000. Just like in the story from the Ready Player One book and movie, millions of people will compete against each other, using their trivia knowledge to bring home the grand prize. Unfortunately, the winner of this contest doesn’t become a billionaire or gain godlike control over the OASIS. Instead, they’ll have to settle for a quarter-million dollars. Fans will compete live on Wednesday, March 28 at 9 p.m. Eastern for a shot at winning the grand prize, just two days before Ready Player One’s official release. This offers an interesting promotional tie-in to the movie that’s totally in the spirit of the movie, which itself is obsessed with Easter eggs and obscure bits of knowledge. The plot of Ready Player One involves millions of people around the world memorizing various bits of trivia all in the hopes of winning an in-game contest crafted by the game’s creator. The brilliant James Halliday was obsessed with Eighties culture, so those that hunt for the grand prize need extensive knowledge of movies from that decade but also every arcade game ever. Hopefully, this round of HQ Trivia will involve the same kind of obscure knowledge that Wade Watts, the protagonist of Ready Player One, needs for his hunt in the movie. 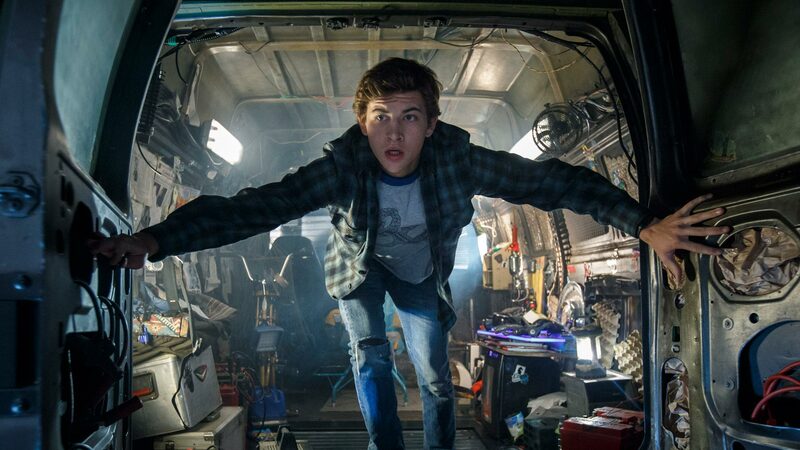 Tye Sheridan plays Wade Watts in 'Ready Player One'. HQ Trivia, which launched on in August 2017, is a live trivia show in which players can win real money. In most games, players have 10 seconds and answer each of 12 questions correctly to win a cash prize. The standard prize amount is $5,000 which is often split among players that tie for first place. There’s no telling how the app will handle a prize of this amount, however. HQ Trivia drew 2.18 million people during the 2018 Oscars ceremony, and it’s possible that this new large prize could entice even more players. After all, who wouldn’t want a shot at this much money? Compete live for the prize on Wednesday, March 28 at 9 p.m. Eastern on the HQ Trivia app.